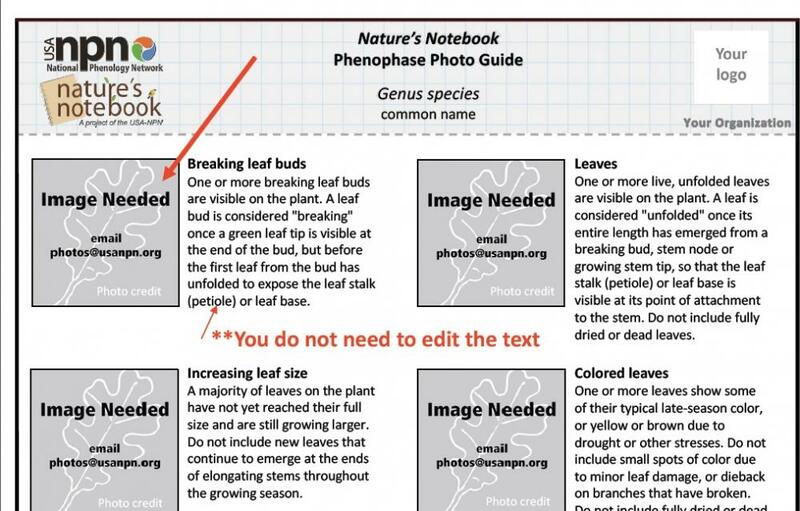 Phenophase Photo Guides are species-specific guides that provide a photo reference for each of the life cycle stages on the Nature's Notebook protocols. The National Coordinating Office is slowly working on creating useable guides that will eventually appear on our species profile pages. In the meantime, we invite you to help us by using our templates to create your own Phenophase Photo Guides. If you do make photoguides, please consider sharing them with us by emailing them to phenophases@usanpn.org. You may also wish to consider using our Phenophase Primer for Training and Education. This Primer includes photographic examples of sample species in each of the Nature's Notebook plant functional groups. The National Coordinating Office has created Phenophase Photo Guide templates for you to use in your programs. There are editable PowerPoint templates for several of the functional groups we identify in our protocol. You can begin by viewing the Species Profile page and reviewing the details for your species. In the top left corner of the printable datasheet linked from the species page, you will find the corresponding functional group for your species of choice. The blank templates include the full definitions as described in our protocol. You do not need to edit the definitions (see the image below), simply add photos of your individual example of the species where indicated. You may wish to add your logo at the top of the page. Each of the plant functional group templates can be downloaded from the list at the top of this page. Please do not re-interpret the phenophase definition and display what you believe to be an abridged version containing the same meaning - it compromises data quality by introducing inconsistency across observers. See the details below for more information. For some guidelines for creating the Phenophase Photo Guides from these templates, download this PDF document. At this time these Phenophase Photo Guide templates are designed only for plants. However, if you wish to create Phenophase Photo Guides for the animals you may be observing please be sure to use the exact definitions for each of the phenophases found in our protocols. Pairing the Nature's Notebook definitions with photos is a best-practice - if you are going to create your own photo guides, the National Coordinating Office recommends utilizing the standard phenophase definitions, verbatim, to ensure high-quality data collection. Please do not re-interpret the phenophase definition and display what you believe to be an abridged version containing the same meaning - it compromises the data quality by introducing inconsistency across observers. If you feel you need to use a shorter definition, please use our Simple phenophase definitions, but make it clear to your observers they still need to refer to the full phenophase definitions found in the Nature's Notebook mobile app or on the phenophase definition sheet linked from the species' profile page on the Nature's Notebook website. The full phenophase definitions were designed to standardize the way data are collected by observers participating in our nation-wide program. Changing the wording and content leaves too much room for different interpretation of what is meant to be observed in Nature's Notebook, thus compromising the consistency and quality of the data in our database. Researchers who use the data want to be confident that information collected in Maine or Florida or Oregon is as similar as possible, and the only way to make that happen is to ensure everyone is starting from the same place in terms of the phenophase definitions. For more information about how and why the standardized phenophases in Nature's Notebook were developed, please read our reports in the USA-NPN Technical Series entitled, "USA-NPN Phenology Protocols" and the "Plant and Animal Phenophase Definitions." Groups are welcome to use their own photos of the species and phases they encourage people to monitor throughout the year, as long as they are certain that the species and phases are correctly identified using our described protocols. If you collect photos for your own guides, please consider contributing them to our USA-NPN SmugMug Phenophase Photo Galleries (previously our Phenophase Photo Flickr Page) by following guidelines outlined in the Phenophase Photo Guidelines. Please only submit photos taken by you or one of your volunteers who has given permission to share them. We cannot upload photos collected on the internet via Wikimedia Commons or another similar source. Consider adding natural history information and photos of the plant in full form to help participants locate and understand the reason the species has been selected for monitoring. We encourage groups to keep the USA-NPN logo and the Nature's Notebook logo on materials they develop for use with the Nature's Notebook program, in addition to adding logos from partnering organizations. Once your Phenophase Photo Guides are complete, share them with us at phenophases@usanpn.org. 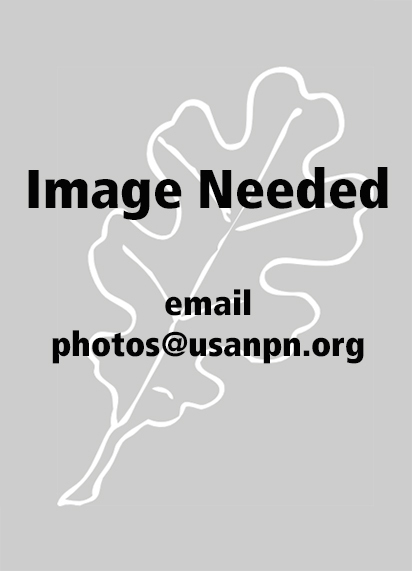 The USA-NPN National Coordinating Office invites you to publicly share your high quality and high resolution photos of plant and animal phenophases for education purposes via our Phenophase Photo Flickr page. You can help us build a database of photos for the 1200+ species in Nature's Notebook and their phenophases. These photos of plant and animal phenophases will be used in educational and training materials for our volunteer observers. If you are interested in submitting digital images of species' phenophases, please review the guidelines and directions. Help the USA-NPN build it's Nature's Notebook species photo collection. We're looking to you to assist in filling the gaps of species we are unable to locate good quality images of.